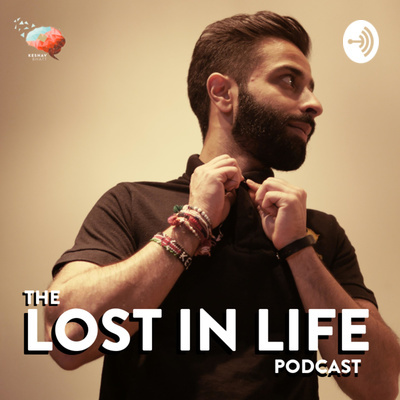 Welcome to the Lost in Life Podcast. This is something I'm sharing to talk about the opposite side of the common success story we always hear of. There's many self help & success podcasts out there. But sometimes, it's hard to relate to them. On this podcast, I interview various everyday people, experts & thought leaders on the tired days, frustrated days, confused days - which everyone experiences. My name is Keshav Bhatt, and I want to normalise these things & help people take their time on the journey, not rush to figure it all out! If you enjoy the podcast, please do rate & review it! On this episode I went LIVE on YouTube to answer your questions and share 5 hacks I use to reduce my addiction to social media apps! What do the people who are living meaningfully do throughout their day? What's the best way to schedule your day? In this episode I talk about sleep chronotypes, morning rituals & the best ways to manage your energy throughout the day. As always I love hearing from you, otherwise I'm kinda just talking to myself - so email your comments to me at support@keshavbhatt.com or comment on the YouTube video! Thanks so much for taking the time to listen. If you want to avoid frustration, failure & miscommunication in your relationships - these are the 5 common problems I see people run into in my work as a life coach. So take notes, and make sure you solve these BEFORE you add another person to the mix! On this episode I went LIVE on YouTube to talk about how to master & control your emotions. Let me know what you think by email or commenting on the YouTube video. Enjoy! On this episode I interviewed Heleena Mistry, an amazing tattoo artist & business owner from Leicester, UK. We spoke about the taboos of having tattoos in South Asian culture, the patriarchy & challenges faced by young women, cultural appropriation & mental health issues. Hope you enjoy & let me know what your thoughts are! On this episode I interviewed Josh Bolding, from the HIGHLY successful vegan supplement brand - Vivolife. We talked about his journey building the brand with his team, how he uses lessons from Ancient Toltec wisdom in his life, why the 4 hour work week doesn't "work" and the best morning routine for entrepreneurs! Hope you enjoy this & as promised - use the code lostinlife20 at checkout for a massive 20% off your vivolife products! Relationships are beautiful - but hard sometimes! How do we find the right person? How do we get over break ups? In this episode I interview Anna Garcia - an expert coach & best selling author, who has helped thousands of women master relationships with her coaching programmes. How do you stay motivated? What's the right path to take in life? What does someone who has coached over SIX HUNDRED people on these big life questions suggest? I spoke to my good friend Rafael Eliassen about this & how he went from a stuttering nobody to an internationally renowned YouTuber & motivational speaker. Welcome to the second episode of my new podcast! In Part Two - I share how 2018 really was for me, and what went well/not so well. Let me know what you think! Welcome to the first episode of my new podcast! In this episode I share how 2018 really was for me, and what went well/not so well. Let me know what you think! On this episode I interview Dina Mistry from the Playful Indian creative brand. She's won critical acclaim with her unique & quirky work and we talk about her struggles, doubts & even theft of her work!